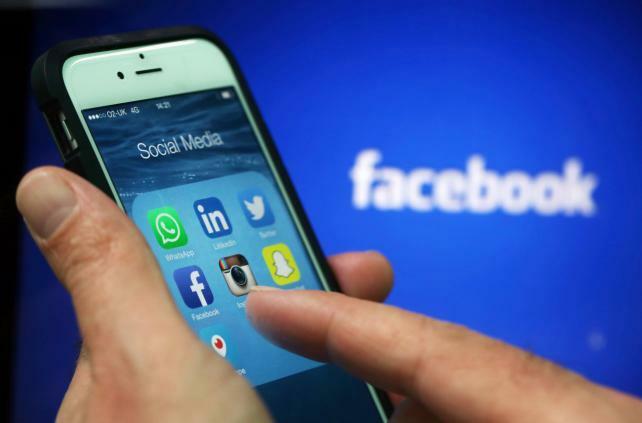 Facebook is making a dramatic change to the social network's mobile application, letting people post pictures and videos that disappear after 24 hours. Dramatic, but unsurprising: It's the fourth time the company has added such a feature to its apps. And it's a tool that was invented by its smaller, newly public competitor: Snap Inc., whose Snapchat lets users annotate photos and videos by adding text, drawings, masks and filters and then post them to their "story" or send them to friends. Facebook added the same capability in recent months to its Instagram, WhatsApp and Messenger mobile apps, seeking to capitalize on the popularity of the format to keep people on its properties rather than toggling over to Snap's network. Yet Facebook doesn't shy away from the comparison -- and is calling the new version on its main application "Stories," too -- just like Snapchat's version. "This is something that Snapchat has really pioneered," said Conor Hayes, a product manager at Facebook. "Stories has become a format for people to share and consume immersive video and photo across all social apps, and it really differs for them based on the network they have or the way that they use a certain app." Snap used the same argument in its initial public offering presentation to investors, saying that Instagram, for example, has a different audience. Still, copycatting by Facebook has been cited by analysts as a major threat to the smaller company, which saw slowing user growth in the fourth quarter. Mr. Hayes said Facebook decided to spread stories across its properties after seeing its success on Instagram, which introduced the tool in August and had 150 million people using it daily by January. Mr. Hayes said as more people share photos and videos, stories can encourage moments that might not make the cut for a Facebook news feed post. Early data from tests show that the new option is unlikely to discourage regular activity on the news feed, he said. The company won't add advertising until the feature becomes popular. Snap hasn't publicly responded so far to Facebook's moves.